Welcome to October and this month’s block for Jacquelynne Steves’ Save The Bees BOM. If you haven’t signed up for this block of the month yet, there’s still time; you can sign up here. This month’s block was so fun and easy to make! I have a different technique to share along with a fabulous giveaway at the end of this post (now closed). The pattern gives you the option to make this block with traditional paper pieced hexagons or with fusible applique. I chose a hybrid technique using a foundation that is a partially water-soluble stabilizer that you can leave in your project. I used Quilter’s Select Print n Piece Fuse Lite; a few other options are Ricky Tim’s Stable Stuff Poly (non fusible), Hugs n Kisses Applique Paper or Wash Away Applique Sheets by C&T Publishing. This technique is done completely by machine, but it looks like it was done by hand. Trace and cut the hexagon shapes from the stabilizer. With the fusible side down, iron each hexagon shape onto your fabric. Cut out each shape leaving a 1/4″ seam allowance. Using water soluble glue such as a Sew Line Fabric Glue Pen, glue baste each side’s seam allowance along the edge of the stabilizer. Arrange the hexagons as shown in the pattern. Load your sewing machine with clear monofilament thread on top and a size 60/8 or 70/10 needle. Set your machine for a zig zag stitch with a 1.0 width and 1.5 length. I’m sewing on a Bernina 770 and this setting gives me the look I want. Place two hexagons snuggly together. I don’t bother pinning, I just use my hands to hold them together. Stitch with a zig zag stitch from one end to the other, catching both edges of each hexagon. Backstitch at the beginning and end. Take the next adjacent hexagon and do the same thing. This time, you’ll be sewing two sides together. Continue until all of the hexagons are sewn together. Place the sewn hexagons onto the background rectangle and glue baste it in place. Using the same machine set up as before, stitch along the outside edges of the hexagon unit. I still used a narrow zig zag stitch, but I adjusted my stitch length to 2.0. The stabilizer remains inside the hexagons. It will soften to a very sheer lining. Your beautiful hexagon block will look like it took days to sew together, but that’s our little secret! Update 10/8/18: This giveaway is now closed. This month’s giveaway is sponsored by the amazing Aurifil Thread Company. One lucky winner from each participating blog will receive a thread box of Aurifil thread valued at $46 dollars. I love the quality and variety of Aurifil thread and use them all the time! For my blog, all you have to do to enter the giveaway is leave a comment by Sunday, October 7, 11:59 pm PST, on THIS blog post (not from my home page) telling me WHO taught you to quilt: were you self-taught, did you take a class at a local quilt shop? Maybe it was an online class or a relative that taught you? I was self-taught. I saw an article in Parent Magazine on how to make a doll quilt. I did as the instructions told me and made my first nine-patch quilt! To leave a comment, make sure to scroll down to the bottom of this blog post, and look for the rectangle that says “Enter your comment here”. On October 8, I’ll randomly pick one winner! To enter, leave a comment telling me who taught you to quilt. You must comment by 11:59 pm PST on Sunday, October 7, 2018. CLOSED. Giveaway is open to everyone. Due to the high volume of comments, I won’t be able to reply to you (unless there is a direct question), but I will read each and every one. Thank you in advance for your participation and for leaving a comment. Make sure to use #SaveTheBeesQuilt and #SaveTheBeesBOM for social media. Pingback: Free House Quilt Block #2 for the I Love Home FREE Block of the Month! My grandma taught me to quilt! My first quilt I did when I became pregnant with my son. Soon thereafter I was asked by a friend to go to a class. It was a log cabin quilt. That was 23 years ago and WOW things have certainly changed!!! I started my quilting journey with a store class and am hooked on quilting! I am a self-taught quilter. I was inspired to try by my love of Colonial Williamsburg and all things fabric. I used to watch Simply Quilts with Alex Anderson when my children were small and I learned a whole lot from her books which I still refer to. I am a self-taught quilter; books, online tutorials, and lots of trial and error! My mom and the ladies in my sewing guild and quilting guild have been teaching me. I’m a beginner and have jumped in with both feet. I’m enjoying and so excited to learn about the machines, tools, fabrics and threads! Quilting and sewing is my new passion! I was a new bride living 1500 km from home with no job, kids or friends, so I went to a guild meeting where the speaker for the evening was Mary Ellen Hopkins. I have taken many classes, read hundreds of books and traveled to multiple quilt shows since, but she lit the fire that has kept me creating for over 30 years. I learned how to sew in home ec. but I taught myself how to quilt with books. A neighbor lady taught me when I was twelve to begin with and then I took some classes. A friend who was a quilter taught me. My first quilt was an applique with patterns from the Kansas City Star. I love the hand work on the applique. Now I have branched out to wool applique. Im new to quilting and im teaxhing myself how to quilt with utube! My good friend, Chris, showed me how to make a log cabin block about nine years ago. She introduced me to a group of like minded ladies and we would meet up once a month to work on quilting projects together. I then joined several on line quilting groups and enjoy swapping ideas and getting inspiration from other quilters. My grandma taught me to sew with her old foot pedal singer, and my my ma taught me embroidery, and my sister 10 years older than me taught me EPP with newspaper. love all things that involves needles and thread. I have always wanted to quilt but never did it think it was too complicated. So in the last 4-5 years I have been reading studying and watching quilters on YouTube and blogs. I would say I’m self taught but only through watching and reading these awesome quilters and designers. Thank goodness for new technology for the help. I learned to embroider in Girl Scouts and to sew in home ec in junior high. I watched Eleanor Burns and I read books to learn to quilt. I learned the very basics from my mother-in-law. She loved doing crafts and she also taught me to crochet. After a trip to the Canadian East Coast, I fell in love with be with quilting and decided it was something I had to learn how to do. I took a beginner course and afterwards learned other techniques from books and social media! I learned from books and from Eleanor Burns! A dear friend who was my nail professional taught me to quilt. I had always wanted to make sun bonnet sue for my girls with fabrics from their childhood clothes, they turned out adorable. From there she taught me all the basics and I am so hooked. Love how you put together your hexies! I am self-taught but have loved adding all the classes, videos and quilt shows in to increase my knowledge and love of quilting! A friend wanted to take a quilt class and didn’t want to go alone so I went with her. Didn’t have a clue what I was doing but I was hooked! Quilting is my happy place! I made my first quilt without any class, but loved it. I decided then to take a baby quilt class when my nephew was going to be born. Have enjoyed quilting as therapy ever since. I took a quilting class at our local community college. Fell in love with it! I read a whole lot about quilting for about 2 years and then I took a class. Although the majority of what I know I learned from you lovely ladies on the internet! My mom taught me to sew when I was a preteen, and I taught myself to make quilts. I first learned to quilt watching “Quilt in a Day” with Eleanor Burns. That was sooooo long ago!! I give more credit to my guild friend & teacher LindaLee Hodges for teaching me the tips & tricks that she has developed for even better quilt sewing.I sewed with her for about 7 years and she is amazing!!! My mother taught me some and then in my 20’s I started working on my own. I learned to quilt with an older lady in our community where she held an informal get together. Once I got the basics I learned other techniques through books and social media. I am self taught, I made my first quilt a log cabin when I was pregnant with my son, he is now 35. I used cheap fabric and my seams were all over the place but my son used that quilt until it fell apart. I have learned a lot since then LOL! A friend introduced me into the quilting world and then I learned most of it through blogs and tutorials etc. Thanks for the new to me way for hexagons. Love it! My mom taught me to hand sew doll clothes with her scraps. I still have the first one I made about 60 years ago. When I was 12 I spent a month with my grandmother. She taught me to piece 9 patches and then put them together, sand which the top and tie it. I later made quilts for each of my babies and hand quilted them. Never did another quilt for 30 years. Then I moved to a small town in northern British Columbia. There was a group of ladies there that got me hooked on machine quilting. My first project was at a quilt retreat in Barkerville. The quilt was Barkerville Spools with 4″ spool blocks. I never finished the quilt top, but instead used the blocks for borders on several other quilts. Now I teach quilting at my local Guild! I took a class at Quilts Plus in Indianapolis. My mother taught me to sew and quilt. I learned to quilt in a community college quilting class. Sorry to say I can’t remember the teacher’s full name, but it was Judy. Jan Rude, My grandmother taught me and helped me make my first quilt years ago. Got out of the habit but getting back into now. Feels like I’m starting all over with all the new tricks. I took an introductory class on quilting at a local fabric store, and caught the quilting bug. I am self taught. I did take one class since then – for an art quilt taught by a woman who made stunning quilts. I met her at a Home Show where she had some examples on display. I asked if she ever taught classes. She was basically retired but took my name and phone number. Quite some time later she called and I signed up. I partnered with another woman who decided to join at the last minute and didn’t have parchment (or freezer?) paper. Of course I let her use mine. She gifted me the second day with a beautiful piece of fabric. I didn’t finish the quilt but it is safely stored in a box for when next the muse strikes. I am pretty much self taught in quilting although my mother and sister quilt. My great-grandmother introduced me to sewing and then quilting very early (maybe age 5?). However, it has been so long ago I am relearning all over again! So much easier without all of the handsewing except by choice. Love hexies. Thank you for the chance to win the lovely Aurifl thread. My mom taught me to sew but I taught myself how to quilt. My mother asked me to make a baby quilt for a friend of mine…my friend was naming her baby my moms name. Mom worked hard on convincing me I could do this so I watched every UTube video I could find and signed up for a few crafty classes……now 5 years later I’m hooked!! Looking back that first quilt really didn’t look that bad. I am completely self-taught! I learned everything I know about quilting and using a sewing machine through the wondrous world of YouTube! I watched my grandmother hand quilt when I was very young. As an adult, I took a class at a local quilt shop. Garment/home dec sewer turned quilter when was pregnant with my first child. Found a cute pattern and followed the directions. I taught myself. My mother thought I was crazy! Of course, she was a 100% analytical, not a creative bone I her body. I have always been very creative and as I got older, I wanted to try everything, knitting, sewing, crocheting, needlepoint, crewel, drawing and more. I finally decided to take a class for making a certain quilt design. I was hooked! And…I still live it all! My friend Judith taught me to quilt and now I am seriously infected with the quilting virus – I am obsessed with it and just love it! I learned to sew on my mother’s treadle sewing machine. I never remember her quilting but she made all our clothes. However, I do have quilts done by others in my family. I learned about quilting by watching Alex Anderson, Fons & Porter and others. I am in the process of piecing quilts for each of my grandchldren. I’m pretty much a self taught quilter, the only people in my family who quilted were my great grandmothers, and they are both gone. I do take classes when I can and get information online to. My mother-in-law and the ladies of her quilting bee had me do my first quilting in a quilt that we received 25 years later. That started the bug and I began my first quilt within a very few months of those first stitches. I watched my Grandmother a lot when I was young. I am pretty much self taught and still learning. I learned to cut and hand sew from a friend during an illness and later hand sewed a quilt. Then many years later my friend and I joined a block of the month from the local quilt shop. My friend taught me the real basics and some extras and it was fabric love from then on. My husband and I were attending the annual convention of the Oregon California Trail Assn. in Gering, Nebraska, in the 1990s. (I live in the Bay Area in California.) There is a cute, friendly quilt shop there — I still get their weekly emails. I had not done quilting before, and I loved seeing the finished products on display. Some fabrics even featured covered wagons, as they are right on the Emigrant Trail. Regardless that I was in my 60s, I bought one of the kits, followed the directions,, and made the table runner. It turned out just great, and I was hooked. Now, twenty years later,, I’m still following patterns and making different projects, mainly table runners. I slept under quilts made by my Mother and my Grandmother, but it was a class with Monique at my LQS where I actually learned how.. and many workshops through Guilds and conferences since. I am a self-taught quilter, although my mom taught me how to sew. Leisure Arts book! My mom gave me several quilt tops that her mother put together. I have been sewing since I was 9 in 4-H but never quilted. Bought the book, hubby picked out the material he wanted, and I followed the chapters. He loves his quilt, The only one I have hand quilted so far. I was taught how to sew patchwork by an older lady who babysat us one summer when I was 7 or 8. She passed away that fall so I never got any further with her. Years later as an adult I took a class at my local quilt shop and I’ve never stopped! My grandmother taught me to sew, and sewing evolved to quilting. I am pretty much a self taught quilter. I have taken some classes but they were just for fun and to learn a new technique. My Mother taught me to sew and quilting I learned from books and a few classes. I wouldn’t say that one person taught me quilting. I learned some things on my own by reading books, magazines and online information. My MIL has taught me some things from time to time. I’ve taken the random class here and there, etc. There is so much to learn, it’s a good thing there are many sources of information! Originally my grandmother taught me to sew but it wasn’t until later I started to learn to quilt. MAinly i was self taught but have enjoyed taking classes more recently. I am a self taught quilter! I’m learning from SAVE THE BEES quilt! So far, So GOOD! Thank you for your blogs that have contributed to my quilting knowledge & skills! I taught myself to quilt, even though my mom taught me to sew at a very young age. It “seams” like I’ve always sewn. Somewhere along the line sewing for my kids morphed into sewing decorative items for my home and for my friends. That morphed into quilting. I watched a lot of “Sewing with Nancy” on PBS and started to think that I might be able to quilt, too! Since then I’ve taken a lot of classes, positively DEVOUR You-tube videos and quilting magazines. I love your blog and all of the sewing/quilting blogs on the Internet. There is inspiration everywhere you look! I love collecting fabrics and threads and try to use as many of them as possible without becoming a hoarder! LOL! I love your color selections in all of your projects. My mother was a hand quilter and while she was living, I never attempted it. I later took a Quilt in a Day class and I was hooked. To be able to use a machine, start to finish was more up my alley and nobody shamed me for not doing it by hand. I have made many, many quilts since them and love this hobby. I am a self taught quilter. Self taught but refined my technique with many many classes!!! I was fortunate enough to have a group of friends, each of whom is an accomplished quilter, to teach me different techniques. I am still learning from them. I learned to quilt watching Alex Anderson on HGTV’s Simply Quilts. I always appreciate your tips and instructions on how to do something in a different way. I’m trying this hexagon technique in my next project! I learn to quilt by taking a quilting class that my local craft shop offered. I knew how to sew from taking a home economic class in middle school. Having these skills allowed me to enjoy the craft immensely. My sister has helped me with my quilting. I am self taught. I loved watching my mom sew craft and clothing when I was growing up. She never quilted. I am self-taught on quilting, but my mom taught me to sew clothing, starting when I was nine. I have a dear friend that has coached me on FMQ though and she is awesome! My mother taught me to sew, doll clothes and clothing. A good friend introduced me to quilting 16 years ago – I’m hooked! I watched Alex Anderson, and Elenor a lot. Neither side of my family did any sewing.quilting or crafts. Since I’ve always done different crafts, quilting is my go to craft and I’ve taken many classes overs years and have many books on quilting.etc. just so much fun and so relaxing. I am self-taught. I didn’t know anyone who made quilts when I started quilting in the 1970’s, and there wasn’t any such thing as the internet and you tube. Hi, my name is Lorraine aka Lottie and I honestly can’t remember a time I didn’t quilt sew etc. I do remember being 6 y.o. and given my own tool kit where we all sat around (mum, gran, auntie’s and me!) working on one project or another. We were very poor from a big family living in London post war. Now I keep the tradition going and my grandchildren join in too. It is such a privilege and a warm and fuzzy feeling to be working together without age barriers. Thank you for reading my journey. My mom sewed clothes but her Mom,my Memere, made all her grandchildren quilts. I use to help her trace and cut out squares. I made my first quilt in high school and havent stopped sewing since! My Mom taught me to sew when I was 10 or11 years old, but I didn’t learn to quilt until a fellow teacher offered a class back in 2000. After a bit of a break, I took it up again when I retired and Ann is now teaching me free motion quilting. Mom taught me to sew but I’m a self taught quilter! When I first started quilting, I was self-taught. Since then I have taken many classes to improve my quilting skills. There is always something new to learn and I am amazed at the many creative ideas available on blogs and videos. I love your fabric choices, Julie! I took a class in high school (1996) called Fabrics and Fibers. One of our projects was a class quilt with each student making one block. About 10 years later I asked a gifted quilter at church to help me make a baby quilt for my nephew. I only recently came back to quilting and now it’s my favorite way to spend my free time! Online tutors have been my guides! Very grateful for blogs and videos!!! I was self taught when I made my 1st quilt in 1970. Then in the 80’s I started taking classes. A friend and I joined a quilt circle at our church to learn how to quilt. She never showed up at the meeting, but I’m glad I did. Between the ladies in the quilt circle, Youtube and bloggers like you, I have gained the knowledge and confidence to guide new members of our circle. I always loved to sew and quilting was on my bucket list. The moment I found out there was a quiltclub on the island, I went for it! There is no stopping me now! Learned to quilt when I took a class offered by Adult Education in Loveland Colorado. Have loved quilting ever since! I have been sewing since I was a kid. I made my own clothes and did a lot of craft projects. Now that I am retired, I have been teaching myself to quilt. We have a great quilt shop where I live and will eventually sign up for some classes. I learned first from books and then from Craftsy. I am a self taught quilter. Well, I did learn a lot from watching Simply Quilts many years ago. Great tutorial for this month’s block! The first two quilts I made I did on my own. Then I took a class and learned how to quilt in a less haphazard way. I learned to quilt from my mother when we each made a table runner together. I imagine it took far longer than it should’ve but then I was nearly set to do the next one on my own since I was hooked right away! Now we assist each other with more advanced patterns. I was 16 in high school when my Home-Ec teacher taught the art of hand quilting and pieceing using cardboard templates. I am 61 now and have quilted since then. But the best part of my story is that teacher, Harriet, became my friend. She is 79 and still quilting and has always taught in our quilting groups. I cherish our friendship even tho it took me about 5 years before I could call her by her first name. I had a dear friend who opened a quilt shop in our little town. She introduced me to quilting but I am basically self taught. I watched my aunt quilt over the years, but I could never quilt as she did. She had those awesome tiny stitches that only a pro could do. She and her sister participated in many quilt shows in Ohio winning several awards. I taught myself! My grandmother taught me to sew clothing when I was a young girl. So, at 17 with basic sewing skills in my arsenal and a quilt pattern from a women’s magazine I started quilting. I am self taught. I had sewn for many years, but I got interested in quilting when I received a couple family quilt tops. That was my downfall! My internet went out so if this is a duplicate, I apologize. I learned my basic sewing skills from my mom, but i am self taught at quilting. I started doing quilt alongs, BOM’s, & BOW’s last year, and now I am hooked on quilting. I was self-taught at the beginning. Then work and family got in the way, and I didn’t make a quilt for 20 plus years. Once I retired, I took a beginners’ class and haven’t looked back! Hello, my grandmother taught me to quilt. Very basic quilting. I am honing my skills and love practicing new to me techniques. The videos and blogs are a fountain of information. I’m enjoying myself so much and can’t wait to retire so I can have more sewing time! My younger sister, Betty, taught me! I am basically self-taught. I found a rail fence pattern in a quilt magazine, showed some people at work (some of which had done limited quilting), said ‘we can do this,’ we went fabric shopping together (the first of MANY) and the rest is history. After almost 30 yr we are still great friends, have joined guilds (even started one! ), do retreats together, and travel to quilt shows across the country. We still fabric shop together (ouch!) and find patterns our friends ‘can’t live without.’ ;-D It’s been a great journey! A lady at church taught several of us to make strip quilts for a fundraiser. But I went off on my own and am totally self taught. My favorite is hand appliqué. I learned to sew when I was 12 from a kids class taught at our local Singer store, and continued through high school making a lot of my own clothes and sewing for my children when they were little. I have always loved working with fabric and in the late 1990’s became interested in quilting from a friend. Ten years ago I discovered Missouri Star Quilt Company and learned so much from Jenny Doan’s tutorials. I love to read numerous blogs and try new techniques. A neighbor, Rosa B. Reynolds, learned 9 patch with crows feet! I was taught to sew by my Mom, God rest her soul. Little did I know back then that sewing would be my “happy place”. I am so very grateful for my Mom’s patience when teaching me this life long skill. I love her and miss her very much. I am mesmerized by hexagons. They are elegant and so organized. The bees really smart. The possibilities are endless with placement and colors. I have completed many hand applique projects but I would love to try this technique. 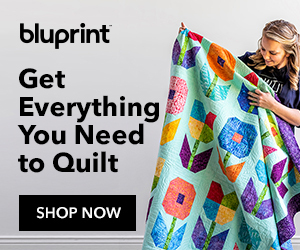 I was introduced to hand-piecing by my mother in 1991 – which resulted in a poorly constructed queen sized quilt which I finally hand-quilted – with the help of my mother, daughter, and aunt in about 2001!! But then, in 2011, a new friend casually suggested I join her and a local sewing group in learning to quilt using a sampler book. Little did I know she had taught quilting and sewing for years, but I agreed, bought an inexpensive starter machine, and away I went on a journey that has brought me so much joy! She is now my best friend, best neighbor ever, and I will always be indebted to her. My mom taught me the old school way, but I taught myself the new ways. I taught my self to quilt using mainly books. This is a great tip for piecing hexagons together! Thanks! My grandmothers taught me to quilt in the mid-seventies. If they were alive today, they would be amazed at my rotary cutting equipment and “fancy” sewing machines. They also might think I am “cheating” by quilting with a longarm! I’m a self taught quilter. I saw a photo of a quilt one day and decided that I was going to figure out how to make it and I did. Learned to sew in Home Ec class in school. My mom sewed but mostly did mending for our family of 13. Took a beginning quilting class and was hooked from there. Self taught quilter. Learned basic sewing in junior high school. My Mom taught me to sew when I was five years old. I taught myself to quilt from an old book, making a very basic and simple quilt. I gave her a quilting class one year for Mother’s Day – it was a double wedding ring quilt. We went together and that was the beginning of our quilting children. While we took the quilting classes my Dad stayed at my house with my sleeping infant. Great memories tonight – thank you for bring the subject up!!! My mother taught me to sew, but my sister was my first quilting teacher. I also took many classes at local quilt shops. What an interesting way to sew hexi’s together! Would be an excellent time saver. I did take sewing in Home Economics in school and that was the start. But I am a self-taught quilter. Still learning. Thanks! I started to quilt by taking classes at Joannes. Judy is the best teacher. I got hooked and followed instructions on pinterest and Joan from Missouri Star. I am now learning how to appliqué with the Bee BOM. I enjoy the creative process and have discovered so much about my creativity!! As a child I was inspired by my grandmother’s quilts. When I was older I decided to take a quilt class, not realizing all the piecing and quilting would be done by hand! After that, I decided I would teach myself and bought a lot of books on quilting! I’ve learned a lot through the years and now there’s YouTube and my guild to help! LOL Thanks for the inspiration, Julie. I love your techniques! I have was taught by a wonderful lady, Tony, who ran a weekly quilt group. I joined the group which met once a week. I joined to just unwind and drink wine with them, but their quilting bug got hold of me and now I am hooked. I’m a self taught quilter with encouragement from my mother-in-law. I learned to sew many years ago and when I decided I wanted to learn to quilt I basically taught myself through online BOM’s and blog posts.. There is so much information out there and so many techniques that it is easy to find what works for you. A good example is this block as almost everyone had a different way of making the hexies. I learned to sew from my mom in the 60’s and was a sewing 4Her. My mom did lots of handwork, but not quilting. When my kids were all in school, I learned to quilt at the local Ben Franklin, using Eleanor Burns’ “Log Cabin-Quilt in a Day”. My mom taught me to sew when I was very, very young. As for quilting, a good friend of mine tried to teach me but we were both in the process of moving across the country at different times and to different places so I didn’t have a chance to learn much. Fast forward six years and as I was in the process of moving back home, discovered a little quilt shop very close to my mother`s house. I worked on a few easy items and eventually took a `learn to quilt` class. The rest, as they say, is history! Three years later, I`m loving making quilts of all sizes! My Mom taught me to sew when I was young. When I first saw quilting I thought how silly it was to put plaids with stripes, ect. But now…..:) For learning quilting I am self taught. Still a work in progress. My Mom and grandmother taught me to sew as a little girl. My sister, a seasoned quilter of about three months, convinced me to give quilting a try last year. So she and her husband’s aunt, a lifelong quilter, neither who live in my town or state, have instructed me by phone, along with the help of various online sites, including your own. I love hexies. My Grandmother taught me almost 60 years ago on her treadle machine. I miss her every day. The Save the Bees quilt blocks are so clever! My mom and grandmother taught me basic sewing, embroidery, and crochet skills, but I taught myself to quilt. My first quilt was a Bambi panel I sandwiched and quilted to hang on the nursery when our son was born 36 years ago. I became a serious quilter about 30 years ago and I’ve since taught my husband, daughter, and daughter-in-law to quilt. There can never be too many quilters! Hi Julie, The first quilt I made was from a Woman’s Day magazine in 1974. The fabrics then were a sorry lot. It was a log cabin design. We didn’t have much money back then so my grandmother had an old electric blanket that we spent the day pulling the cords out of and she had a weird limey green sheet for me to use as the back. I sandwiched the blanket in between the front and back then my grandmother showed me how to make the knots to tie it. i made it for my oldest daughter who let her daughter use it until the fabric literally dissolved away. I was hooked and taught myself to make quilts from magazines and books. Then as money allowed I took quilting classes, joined a guild( learned so much there) and use patterns off the internet. I don’t have many though as I usually made them for gifts or raffles. I love the colors, patterns and process! Great hexie block! I have a friend who makes her blocks in this method. My mother taught me how to sew but I taught myself how to quilt. Thanks for the wonderful giveaway. I am teaching myself to quilt by using You tube and all the wonderful sites like this, I am now trying to do free motion and loving it all. My sister inspired me. I have been sewing for decades, but I have just become interested in quilting. I am teaching myself by watching the many video tutorials available on the internet. I’m self taught. The first quilt I made was a jelly roll race quilt. I saw quite a few you tube videos of races and decided to try it out. That was in 2011 and I’m still quilting. I’ve finished around 50 quilts since then, most of them lap size or smaller. Thanks for the chance to win! I am a self taught quilter. I have only been quilting for 4 years. Your blocks are lovely! I really love your background fabric. Interesting process. Just started using a glue pen with my EPP. So much faster & great results. I am a self taught quilter. Eventually took a few on-line courses and now I am always looking for tips and suggestions. My mother taught me how to sew. I didn’t start quilting until much later in my life. I took several classes at quilt shops, subscribed to quilting magazines, joined quilt guilds, watched PBS shows and videos on the internet. Self taught for so many things. I taught myself to sew, quilt, embroider, etc. I especially enjoy projects that let me do a mix of things. My grandmother taught me to sew on her treadle machine. I found quilting in a magazine article that said “Quilt in a Day” and found my passion from Eleanor Burns and her article! Wow – my first quilt was for my son who is now 40 year old! And I love quilting more than ever. Love your block Julie! I star ted out on my own but have since taken a class in person and several online classes. My mom and I always sewed together but neither of us made a quilt. After my first child was born I saw a pattern in a magazine (Family Circle or Women’s Day) for a quilted tree to hang on the wall. I made it and our daughter loved it. In fact, she still has it. I had never heard of a walking foot… boy would that have helped! And a few applique lessons would have been handy, too. In the 70-s I bought book and set out teach myself how to quilt. I could sew and sewed nearly everything I wore. However, it was all templates and scissors and I decided to not do it at that time. Along came the 2000’s with kids grown and more disposable income. Took a beginning class at the local quilt store and here I still am loving the fabric, rotary cutter, mat and all the other toys for quilters. I took a night class with our city adult classes, with a girlfriend. I got wrapped up in quilting and it went nowhere for her. I have met some of the best people in the world. Self taught. Learned a lot from my early quilts. I don’t use a lot of patterns as I like to “just cut and sew and plan as I go”. This is my first BOM and I’ve been quilting for 25 Years. My mom was a quilter, but I’m pretty much self and tutorial taught. I took a quilting class in a local craft store, back in the day when we used scissors to cut fabric and quilted by hand. Things certainly have changed since we now have the rotary cutters and can quilt by machine. My Nana taught me to sew, started with buttons, then hems on the dresses that she and Momma made for us. I taught myself quilting by reading library books. I’m a self taught quilter and love learning new techniques. As a newlywed ( many years ago)I took a quilting class. I made a hand-pieced, hand-quilted king sized quilt! It’s still together but tucked in a closet. The rest of my quilting has been from books and videos. Took a quilting class about 20 years ago, fell in love, and haven’t stopped yet! I’ve been sewing since I was 8. (Doll clothes) A neighbor asked if I was interested in learning quilting. I said yes on a Thursday, she called with name of teacher on Friday, helped with fabric and thread on Saturday and I had my first class on Monday! My teacher Jeanie is an award winning quilter who taught 3 of us in her home, she became a friend and introduced me to the local guild that my neighbor belongs to also. That was 4 years ago. Love quilting! I learned to quilt from the ladies of the quilt guild at Lincoln’s New Salem State Park where I volunteer. My Mom taught me to sew! My mother met with a quilting group once a month when I was growing up. All of those sweet ladies taught me! Hi I took a quilting class at our local high school with a wonderful woman, Kathy K, the knowledge she possessed I could never grasp and appreciate until I had quilted for a long time! Love seeing everyone’s creations, so many crafty people! I’m mostly self taught. Lots of books and you-tube videos. Although when a very young girl I used to cut cardboard templates for my Grandmother who hand pieced and hand quilted on a frame propped on the backs of chairs. I was taught by a friend. She helped me work on Log Cabin blocks and we laid them out in a Barn Raising pattern. Still have that quilt. My mother taught me to sew garments. I dabbled at a quilt or two until I met my quilting group and now I have many teachers/helpers and I learn much from them! I was a very young member of the local Women’s Institute and every year we made a raffle quilt. I started there and then was self taught for a few years until I moved to the city and started taking classes and joined a guild.Thank you for the opportunity to win! My mother taught me the basics of sewing and in highschool I took a sewing class. For many years I sewed all my own and my children’s outfits. I only started quilting about 7 years ago. I mostly taught myself how to quilt and took a couple of classes to do a special project. I am a self-taught quilter. Although I have taken some classes from great teachers and watched tons of videos to perfect and expand my techniques. Love the hexies but I cannot do handwork these days. This is a pretty little block. Thanks for the helpful tips in making it. Also, I love using Aurifil thread. It is so smooth and works so nicely for my piecing. Thanks for the chance to win some. My grandmother taught me ti sew, and I have sewn Western Shirts for my husband for many years, I also made my daughters a lot of their dresses and clothes until they were in high school. My middle daughter taught me how to make quilts when I was about 40 years old. Just after my first grandson was born. I am now 67. I love making quilts for my grandchildren, my Mom, my sister, and other relatives. I make lots of donation quilts for our local Senior Care center and for our local Baby Welcome Wagon. I learned to sew and knit, etc from my mother; but I learned to quilt by listening to you tube. I learned to sew from my mom. I learned about quilting from lots of books and a great lady named Harriet who had a quilt shop. I am a mostly self-taught quilter, using books and videos to supplement, but my very first lesson was from my dear high school friend, who flew out with her sewing machine to help me begin my first quilt. I think of her every time I start a new quilt, and many other times as I try to obey the laws of quilting. About 35 years ago, my husband and I lived and worked in Saudi Arabia. Our community offered a class in a school gym. It was full. It was for Eleanor Burns Quilt around the world pattern. I still have this quilt today and lots of fond memories, as well as many years of quilting. I love your technique for the hexagons, such great results. My mom is an amazing seamstress and once worked for a tailor. She taught me to sew at an early age and I’ve been learning ever since. Most of my quilting skills are learned from books and blogs. Self taught using Eleanor Burns Irish Chain quilt in a day book in 1984. I am self-taught. After watching Alex Anderson on TV, I decided since I already knew how to sew, I should be able to do this! Picked up a book and the rest is history!! Love your blog! My grandmother made a lot of quilts, but I didn’t learn to quilt until I took a course at a quilt shop about 15 years ago. I fell in love with fabric and have been making quilts ever since! I took a class at a local quilt shop and my first quilt was a nine patch. I then took an actual college course in quilting. Basically, I was self-taught. I have been sewing since I was about 8 years old, but always clothing. The funny thing was that I loved cutting the fabric and piecing it together, but I never liked wearing what I made. Had I known way back then that I could still cut fabric and piece it together and it end up with a quilt, I would have started a lot sooner! Self taught inspired by an aunt who made doll clothes for my sister and I. My Aunt Esther taught me to sew. My mom worked seven days a week and my aunt babysat me. She was very crafty and an inspiration to me. I was self-taught. saw beautiful quilts at a shop in Vermont and I ordered ” trip around the world” from Eleanor Burns and have been quilted since. I learned to sew in home economics class in high school. I first learned about quilting at a class at a store that sold sewing machines. I continue to learn more as often as I can. Hello Julie, I had all kinds of help in learning to quilt. Watching my Father, taliking to and asking questions to a very good friend, tv programs, books and magazines, blogs and tutorials and a whole lot of me! Plus, I am still learning today with your great tutorial on applique! I believe that is one of the wonderful appealing aspects of quilting, there is no wrong way and so many “other” ways to do a method it can never get boring if we just keep experimenting! Sorry Julie, I get carried away which you know. I truly loved your tutorial today because you have mentioned a couple types of paper I was not aware of and would love to try. Thank you for sharing and have a marvelous day! I’m so fortunate that my local school district has an excellent adult ed program and quilt classes are among the many offerings. Thirteen years ago I signed up for Beginner Quiltmaking with a fabulous teacher, Judy, and all these years later I still sign up for her Keep On Quilting class each and every semester. She and the women in my class have become good friends. I took a couple of classes at a now defunct LQS. I have been trying to learn more through blogs, videos and books. I am mostly self taught but I have also learned tons from other quilters (like at retreats & guild), books, you tube, etc. I am self taught however I have been watching my Grandma and my mom sew my entire life. I was resistant to learn growing up. So now it is fun to learn new things and I know if I can’t figure something out I can ask my mom. Now I teach my own daughter. My Mom taught me some things; I learned how to use a sewing machine in Home Ec class, and then I’ve taken several classes at quilt shops over the years! My mom did. She passed away when I was 10 years old. She make me Barbie clothes back in the day and so she was the one who inspired me to make things. That time with her is a happy memory. My grandmother taught me to use her sewing machine while she washed my clothes with an old wringer washing machine on the porch of her farm house. Her quilts inspired me to learn quilting with tutorials given by a Helena, Montana quilt guild. Aurifil threads look like a good compliment for hand quilting. I learned to sew garments in Home Ec class and many years later saw a wall hanging with a sailboat on it. I decided to make that wall hanging pattern many, many times so I would have enough blocks to make a quilt. That was my first experience with quilting and I was in my 40’s. I guess that means I am self taught and I’ve never looked back….love to quilt! I was taught quilting by an elderly lady in my neighborhood over 20 years ago. I learned to do everything by hand no rotary cutters. Drew our pattern pieces on the fabric from plastic or cardboard template & drew our 1/4 in seams & hand sewed on the line. I got a sewing machine 3 years ago & have taught myself from YouTube videos & wonderful blogs like yours. I am self taught with the help of many blog tutorials, including yours. I have sewn for years but began quilting in 2009. It has been great fun learning new things. I am a self taught. This is my first quilt. Your tips and instructions are very helpful!! Thanks for being part of my learning process!! I am a self taught quilter. My mother taught me to sew when I was young. I then became a home ec. teacher (foods one year, sewing the alternate year). The sewing teacher across the hall tweaked my interest in quilting when she set up a whole cloth quilt on a frame for her students to work on. I popped over at least once a week to check on this project. Low & behold when it was complete they presented it to us as a gift for our first baby! Total surprise. My mother started quilting during the guilt revival in the 70’s. She was a garment maker from childhood and decided to make a quilt from a magazine pattern. She made a Trip Around the World and I decided I wanted to make one too. My mom helped me with that first quilt. I have since given up on regular sewing, mostly, and quilting has become my passion. I grew up watching my Mother sew on her old Singer treadle machine. I love the clothes she made for me and my sister. Later she had a Singer electric, which I still have, although I bought a new one for me. I took sewing in Home Ec in high school, but never really took to making clothes. When I retired, I took a quilting class at Jo Ann’s, and I really enjoyed that experience. I made a small quilt for a friend who was having a baby. Later I found a local small quilt shop and found those lovely ladies really inspired me and I fell in love with all the beautiful fabrics. They hosted a project every year that gave all the proceeds to the local no kill animal shelter. That was so amazing to me. I participated to a very small degree. When that shop closed, I was actually depressed. I am elderly now, but still love the process. I find that mostly now I participate in making blocks for some of the charities on line. It gives me a sense of purpose. I am still enthralled with all the beautiful fabrics available. I am thinking that I must find someone or some place to be the beneficiary of all the huge stash of fabric I now have. There is now way that I will be able to use it all. Any ideas? I needed to reduce my stash before I moved. I called a local charity that I liked. They took a number of boxes. I also called an immigrant center, where they teach English and prepare women for life in a new country and for work. They agreed to put a note on the bulletin board. One woman called and took the remaining fabric. Also think about Girl Guides or any other teen groups – there is now a boy-girl group but I forget what they are called. In my city there was also a charity that taught sewing, cooking and other living tasks. I think Home Ec in high school has been dropped (sigh) but they may have some ideas..
Like many of your other followers, I am a self-taught quilter but learned to sew in Home Ec class. I wanted to learn quilting to repair my grandmother’s quilts. She pieced her quilts by hand, but only tied them, so the cotton batting was all bunched up and some of the hand stitching ripped. I finished one and still have 2 more, but now I’m having fun making my own! I started when making doll clothes about 6 years old. My mom taught me how to cut and sew and bought me a little sewing machine. I’ve been sewing for my family and others ever since. I took my first quilting class in the Okarks of Arkansas. It was in Mountain Viee at the ?Folk art center. What a wonderful experience. I live in California, so it was a long trip. grew up watching my grammas quilt and picked it up. I consider myself a self-taught quilter, as that is how i introduced myself to the art. When I retired from teaching, I learned to quilt at my church’s quilting group. The sweet ladies guided me and I made a quilt for a grandbaby. Since then I worked with the ladies making donation quilts, as well as quilts for family members. I am self taught. As computers and blogs weren’t as widely available as today, I learned trhough reading books and trial and error. My mother taught me to sew, but I started quilting because of my mother-in-law. She and the internet helped me along the way. Learned to quilt by going with another friend to H2H quilting group. The group donates quilts to children under stress – hospitalized, death in family, living in shelter, etc. These kind ladies taught me now to make a quilt. Learning continues all the time. My mama taught me how to quilt. I am self taught – Using a quilt in a day book for trip around the world in a queen size – blue and maroon color way. I have since taken a few classes and love the internet for ideas and tips. Your quilt colors are lovely – love the combo. I took at a class with a co-worker at a night-school class in 1980. After that, I did a lot on my own until I discovered there was such a thing as quilting guilds! I was pretty much a self taught quilter, that first quilt was a nightmare. Nothing squared up, big holes in the seams. Whew, over the past couple of years, by reading blogs, collecting books and joining a quilt bee…I have learned and gleaned much! I learned to quilt from a woman who taught Quilt In A Day log cabin. She really didn’t know what she was doing, but I was hooked from the first tear of my fabric. That was in the late 80’s. I am still enjoying every aspect of quilting!! I learned to quilt by taking classes at my local quilt shop. In my first class, I began a king size sampler quilt! When I finished it, I was encouraged to enter it in a local quilt show in the first quilt category. It took first place in its category and Grand Champion! The first time I helped with a quilt was when I was a kid. I helped my Grandma make 9 patches on her treadle sewing machine. I am mostly self taught after many starts and stops. I took a class and then joined a church quilting group. I was lucky enough to have a quilt shop open 7 doors down from my house. Since I’ve sewn since I was a child it was kind of inevitable that The Country Quilter in Somers, NY would teach me to quilt. I am a self taught quilter, but my mom taught me basic sewing. I really learned how to sew clothes in home economics, I wanted to take wood shop but at that time girls were not allowed. I Sew’s all kinds of things in high school and college,such as reupholstered my car seats, made curtains, and clothes. I experimented with small quilting wall hangings, and did not get back to this wonderful hobby until recently, since now I am RETIRED! I love your tip about making hexa on appliqués. I’m mostly self-taught. I did have the help of Fons & Porter in their “Quilter’s Complete Guide” book some years ago. Thanks for this opportunity. I hope I’m on the right comment page. I am a self-taught quilter. I have read many blogs to learn techniques that work for me (thank you, Julie, for everything I have learned from you so far!!!). I was self taught. My parents were immigrants after the war and my mother did piece work sewing from home when we were small. She started with a threadle Singer then a portable electric machine. She had her machine out all the time to do work or repairs as needed. I always loved to sew and was basicaly self taught just by watching my Mom sew or just by sneaking in a sewing a bit. After my mother went into a senior’s apartment her machine was collecting dust in my sewing room. I gave it to my daughter in law and she has since started an Etsy business selling dog bandanas. Mom’s machine has put in many miles for 3 generations and the two younger ones were self tauglht sewers to start. I taught myself. Therefore, many bad habits established and many unknowns. Over the 43 years or so, I’ve learned/relearned so much from classes, friends, books and experience. My Mother taught me my first lessons. She was taking a class at the only quilt store in the area and then taught me. Goodness using cardboard templates to draw around then cut out the pieces then sew them together. Too slow for me a young working Mom so I did not do much until the rotery cutter came along and I was only working part time with only one teenager at home. I learned to sew in junior high school, but taught myself to quilt later in life. I do like to take classes to keep on learning. My older sister got me interested when I was in my 20’s. Then I took a class! I learned how to do basic sewing in jr. high home ec. My mom taught me how to read patterns and sew clothes. I am a self taught quilter. Since I didn’t start quilting until I was 55, I just started on my own. Taking classes consisted of on-line help from bloggers like you. Thank you. I originally took a beginner quilting class at a local quilt store. But have learned new techniques and tips from all of the quilters I have met along the way! My mother, and 4-H club taught me to sew — but I only started quilting a few years ago, because I wanted to sew, but didn’t really have anyone to sew for. I started with a BOM from Craftsy with Amy Gibson, the I found Michele Foster. Both had good basic instructions. Now I follow Bonnie Hunter and I am looking forward to taking a class with her next year! I love all the bloggers on the Save The Bees blocks. Such wonderful inspiration! My Mom taught me to quilt. The grain the true seams. Cut just right with the scissors. She had patterns to trace for the sizes she needed cut. They were drawn then cut. She would show how each block would look cut the pieces from corn flake boxes. Oh how we have changed. From yard sticks to plastic rulers and rotary cutters . My grandmother and a neighbor taught me to sew. I learned to quilt at a store called Tumbleweed in Cambridge MA. My teacher’s name was Sandi Bard. I then taught quilting for many years! I am also self taught. I found a magazine pattern during a summer vacation and tried it out over the next months. That quilt never got completed. About 7 years later I moved and neighbors took me to a guild meeting. Shop classes followed and I have learned from wonderful teachers along the way. We are so lucky to have so many options today. I love aurifil thread and your blog. I am self taught. I have always wanted to take a quilt class but something always seems to get in the way. One of these days…My first quilt was a log cabin quilt using the book by Eleanor Burns. I was amazed with how simple it was and I was hooked. I had always done garmet sewing for my two girls but now it is onlt making quilts. When I was young my mom made all of my pretty dresses because we couldn’t afford to buy one at the store. I loved wearing the clothes she made. So I took home economics in school and learned to sew clothing. My mom didn’t start quilting until she was in her late 50’s. She got me excited about quilting so she taught me. I love that quilting gives me such peace, calmness and a feeling of accomplishment. I took a class, as an adult, to learn how to quilt. I learned to sew through 4-H as a kid. Good Morning. I have never done hexi’s before, but yours is amazing. My best friend from school started quilting and I really didn’t know what she was up to, since we live 1000 miles apart. After 1 visit, I was hooked. I went to a local quilt store for my first of many classes. It has been almost 7 years and I am really enjoying it. Self taught. A friend I worked with was having a baby. I made her a Noah’s ark quilt with all the animals. In primary colors. I taught myself back in the 60s when nobody was quilting. I was inspired by a quilt that my grandmother had made me when I was little. I just used scraps from other sewing projects. My dear grandma fostered my desire to quilt by making and giving quilts, but my mother taught me how to operate the sewing machine! Thanks to both of them! My grandma Swartz taught me. I loved all her scraps to use. My Mother-in-Law taught me how to quilt, and I can’t thank her enough for exposing me to what has become my lifelong passion. My Mom and my Grandma used to quilt. I can remember the quilting frame being set up in Grandma’s living room. Since we only had one car, every Saturday afternoon my Mom and I would drop Dad off at work and visit with Grandma until it was time to pick Dad up. In the evening, they would quilt and listen to the Lawrence Welk show on TV. Unfortunately, I wasn’t interested in quilting until much later, and by then had to teach myself. I am pretty much a self taught using lots and lots of workshops and on line tutorials. I was a garment sewer prior to quilting,but they certainly require different skill sets. I am self taught..,and still learning! My first quilt was a twin sized quilt for my daughter. I chose to make a Dresden Plate quilt because I had seen one that I liked (and then worked out how to fit the pieces together because I had no pattern!). I learned as I went along and often just did what seemed logical. It turned out to be all I wanted it to be. It was completely hand picked and hand quilted. I have always loved to sew and am a self taught quilter. I love a good challenge but still have so much to learn. Thanks to your blog, I am learning. I admire your work! Eleanor Burns taught me to quilt! I used her books to make my first several quilts: Irish Chain and Trip Around the World. Most of them still exist, even though I used very cheap fabrics. Now I know better, but I still like Eleanor’s methods and use many of them all the time. I first started quilting in a hand quilting class. It was through an adult education school district. The first project was a pillow. All hand pieced and hand quilted. I still meet with some of the same people from that class working on hand work. Like you, I am self taught. I wanted to make a wedding quilt for my brother and sister-in-law. I was sewing the binding down the day of the wedding! I later started to take classes at LQS and retreats. I was a crafter. I join the guild with my friends because they kept encouraging me to. I knew that the speakers would speak on values and color which were things I could use in my crafting. Also I had recently moved and was looking for more friendships. I had no intention of quilting. The more I watched, the more interested I got in quilting.I learned by watching others and somewhat self taught since I was into sewing. Now, I love machine appliqué. At this time I’m really not interested in the quilting part, so I pay to have my quilts quilted. Gives me more time to devote to machine quilting. Works for me! Lots and lots of videos! Thank goodness for Craftsy and YouTube. Mom taught me to sew before I was 10. I retired last year and have begun to explore quilting, supported by friends and our local guild. I took a class in high school – but that was way before rotary cutters and mats! When I happened upon a PBS quilting show, I saw how much had changed in the quilting world. I started a twin size quilt and haven’t stopped since. I’m self taught with sewing and then later quilting. I have taken many classes and read many books and now, blogs and youtube videos instruct, too. Beautiful quilt block Julie! My best friends mom was a quilter and while she didn’t teach me…..I constantly watched what she did. My maternal and paternal grandmothers showed me love in color with quilts. My maternal grandmother taught me to go with my gut and choose what makes me happy. My paternal grandmother gave me the approval to make mistakes and appreciate them for what they are….opportunities to improve. I am blessed to have hand quilted works of art from each. I treasure the quilts and hope my children and their children appreciate and treasure what I create for them. My Mom taught me how to sew many years ago, I taught myself how to quilt as another way to be able to help nonprofit animal welfare organizations raise funds for their veterinary bills by donating quilts to them to raffle off.